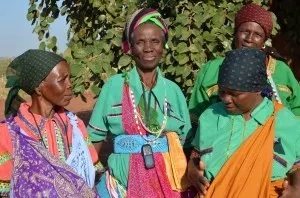 Hleketani Community Garden in N’wamitwa, South Africa, was founded in 1993, following a severe drought in Southern Africa and in the midst of widespread hunger. More than twenty years later, this women’s farm is still going strong, supplying the farmers’ households, AIDS-affected community members and the wider community with local, nutritious food; providing local livelihoods (e.g., vegetable sales, manure sales); and nurturing resilience. When the farm was founded the country was in the midst of the tumultuous transition from apartheid to non-racial democracy. Under apartheid rural areas had long been impoverished and treated mainly as a source of labour for industry and the cities. Even today, the project to build food security and prosperity in rural areas is in its infancy. This community enterprise is making a major contribution. In the drought of 1991-92 the rains that normally support home-plot agriculture never came. In the face of a critical food shortage the regional care group, a public-health body made up of doctors, nurses, and community members, urged local women to start growing vitamin-rich vegetables for the health of their families. Women have always grown food in these communities. Most households have a rain-fed home plot where they grow maize, groundnuts, and squash. 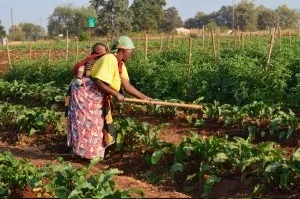 During the early ‘90s drought, women from many households took up the care group’s challenge and tried growing ‘exotic’ vegetables at a central site, with irrigation provided by the ministry of agriculture. The experiment failed when the site’s water supply proved to be meagre. The following year, in 1993, some thirty women from the original group took the powerful decision to ‘become one thing’ – to pool their efforts to form a single collaborative farm. They selected a new site where they knew there to be abundant water. The local traditional leader and ministry of agriculture provided land and a well, and the women chipped in two rand (then about a dollar), month by month, to build fencing and buy seed. More than twenty years later Hleketani Community Garden (‘Thinking’ Community Garden) is still going strong. 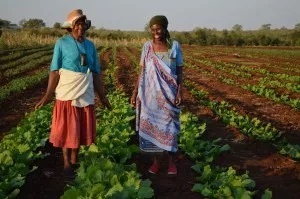 The farm occupies six hectares and provides a vital supply of fresh vegetables for the women’s families, for local people living with HIV/AIDS, and for sale in nearby villages and townships. Equally important, the garden provides community, resilience, and autonomy for the farmers. 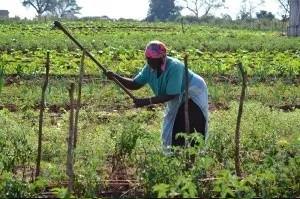 In good times the farm is self-supporting: all proceeds from vegetable sales are ploughed back into manure, electricity, drip irrigation, and repairs. Once a year, in December, the farmers share whatever is left after expenses. The operation runs very close to the bone. The women buy kraal manure from local farmers and hire a tractor when funds permit. In 2014 the farm was hit by repeated thefts, as were other enterprises in the village. A donation from university students in Canada enabled the farmers to hire night-time security guards, putting an end to the thefts. All funds donated go to Hleketani Community Garden programs; the only overhead is bank transfer fees. If you are interested in making a contribution, please see our Donation page.